Only a true Master Chief will get more than 15 in this Halo quiz! So you reckon you're a big Halo expert, able to tell your Spartans from your Prometheans? But how well do you really know Chief? 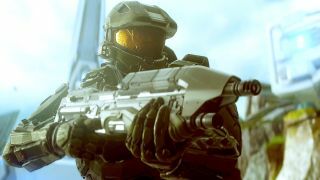 You might have played everything since the first Halo: Combat Evolved first arrived in 2001, but with 21 games (including remasters and spin offs) since there's a lot to know. If you think you can spot the difference between a Type-50 α sniper rifle and a Type-50 δ sniper rifle then this is the challenge for you. Try your luck and let's see what you score.